Creators and distributors of the best hardware products in the world, focused on quality, value, innovation, and building relationships. Family-owned and operated since 1987. Hardware, inspiring design. Since the late 1900’s, J D Grove has been honing his skills as a furniture maker. After spending many hours in his girlfriend’s father’s shop, Joe fell in love with woodworking and his soon-to-be wife. His future father-in-law’s skills were passed down to him from his uncle, and then onto Joe. Joe and his wife Katina were married after a time of courting. As newlyweds with entry level jobs, their furniture was basic and what they could afford. Joe’s first project was a coffee table and end tables. Under his father-in-laws guidance, three tables were completed. Friends and family soon learned of Joe’s skills and began requesting pieces of furniture to be built. Joe took on any project regardless of the difficulty, just for the experience. Years went by and Joe built many pieces of high quality solid wood furniture in his spare time. Fond memories of his son calling a hammer a “don’ter” while pounding on a piece of scrap lumber, and his daughter sitting at the workbench drawing and then arranging sticks on the floor to match the drawing of the dresser she designed, made Joe realize he had a responsibility to share his gift. 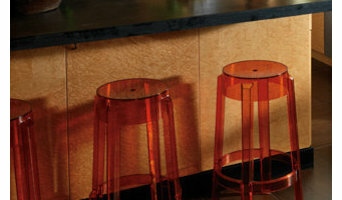 He created J D Grove Signature Furniture, parent company of Musser Farm Woodworks, as the result. Musser Farm Woodworks was established to provide customers with high quality solid wood furniture and accessories. Bathroom vanities, medicine cabinets, benches and shelves are welcome additions to the variety of products they offer. We are a family owned and operated custom cabinet company. 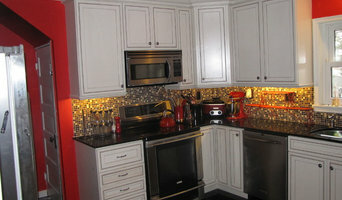 We design, make and install all types of cabinets for your home or business. We specialize in Kitchens and Bathrooms. When you choose Tedd Wood Fine Custom Cabinetry, you bring value into your home. Nestled in the small, central Pennsylvania town, Thompsontown, Tedd Wood, LLC is operated by Matthew Pannebaker and Paul T. (Ted) Pannebaker, who together have over 60 years of cabinet manufacturing experience. 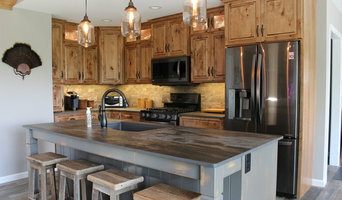 Couple this experience with our group of skilled craftsmen, and you can see why Tedd Wood cabinets are the best in the business. Tedd Wood Fine Custom Cabinetry offers several lines of cabinetry, so you are sure to find the style and functionality that will fit your budget. Visit our website for our Custom Cabinetry Selection Guide for more information about our quality lines of cabinetry. Whether you’re refurbishing a 200-year-old farmhouse or building a sleek new contemporary, Tedd Wood can design cabinetry to suit your style. With more than one hundred door styles to choose from and a complete selection of stains, paints and finishes, the variations are endless. For kitchen, bath, bedroom, home office – anywhere you want the look of fine furniture – Tedd Wood is one of the best values in custom cabinetry on the market today. T.L. King Cabinetmakers is a custom cabinet shop dedicated to providing complete flexibility and quality craftsmanship. Whether we are designing built-in cabinets for your living room, creating a high end library, or building your dream home bar, our careful craftsmanship and attention to detail is evident in all we do. *Authorized Medallion Cabinetry Dealer* We invite you to visit our showrooms to see the latest designs and state-of-the-art product offerings in kitchen and bath products and accessories. With the ever-expanding imagination and expectations of today's sophisticated consumer, you can be assured that Oasis has both the product depth and the professional consultants to assist in developing a creative and distinctive look for your projects. Kitchen cabinet refacing is the most efficient way to get the updated kitchen you want, at a price you can afford. 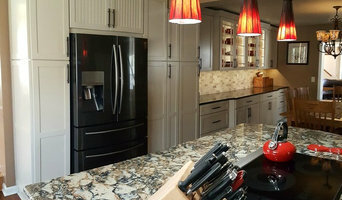 Many companies offer cabinet refacing, but if you’re going to reface your cabinets, you want the company that will do it right. National Refacing Systems, LLC has partnered with Lowe's Home Improvement to bring an unparalleled experience to the customer. Please visit our website to see our service areas. We also offer and sell replacement unfinished cabinet components including doors, drawer fronts, drawer boxes, end panels, veneer sheets and mouldings under the name "Surfaces by NRS" at all US Lowe's stores . All products are made custom to size and will ship direct to the homeowner in 10 business days or less. Use the Houzz Professionals listings to find New Market, PA kitchen and bath accessory vendors. Don’t rule out asking a kitchen manufacturer’s design team for help, too. Skills often can be overlapped to save you time and money! Here are some related professionals and vendors to complement the work of kitchen & bath fixtures: Kitchen & Bath Designers, Kitchen & Bath Remodelers, Interior Designers & Decorators, Cabinets & Cabinetry. Find kitchen and bath fixtures and accessories, plus installation experts, on Houzz. Check out Pennsylvania kitchen products and installers, and bath plumbing products and installers, on Houzz. You can also look through project photos provided by New Market, PA renovators, retailers and designers.